This towering building is reminiscent of industrial and modern styling with its metal and wooden facades and stacked volumes. 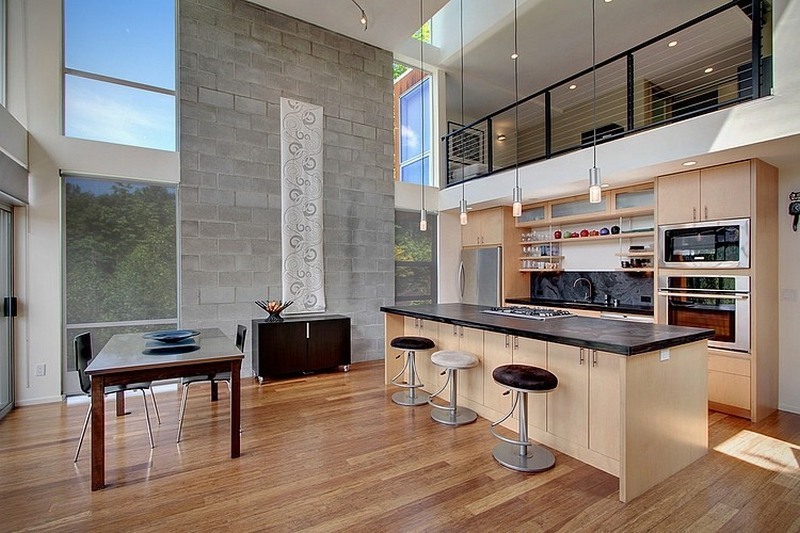 The house was designed by Spore Design and is located in Seattle, Washington, USA. It has lovely views of every window in the house and has a relaxing balcony and driveway. Having floor to ceiling windows in the living room, allows a lot of light to enter into the property, giving it an airy, yet spacious feel. The interior is contemporary with a slightly classical look and feel, with a modern fitted kitchen, simplistic living area and stylish bathroom. The mezzanine floor provides the house with a lookout point and also enables the rooms to have high ceilings.